So, I decided to bore you guys with another work outfit today :). because you don’t always have to opt for a blazer or cardigan to wear with dresses or skirts. I think it’s always good to mix things up. Which is why I wear this anorak with dresses. One of the top 5 pieces in my closet is this anorak that I got from H&M’s garden collection back in March. I don’t know why I’m so obsessed with this thing, but, I wear it with everything from leggings to skirts to sweats. A few of my friends have told me that it doesn’t go with everything, but, I ignore them (I know it doesn’t, but who cares). I mainly like wearing this anorak with dresses because it so unexpected. I wore it to work this week as an outfit not just as a jacket. 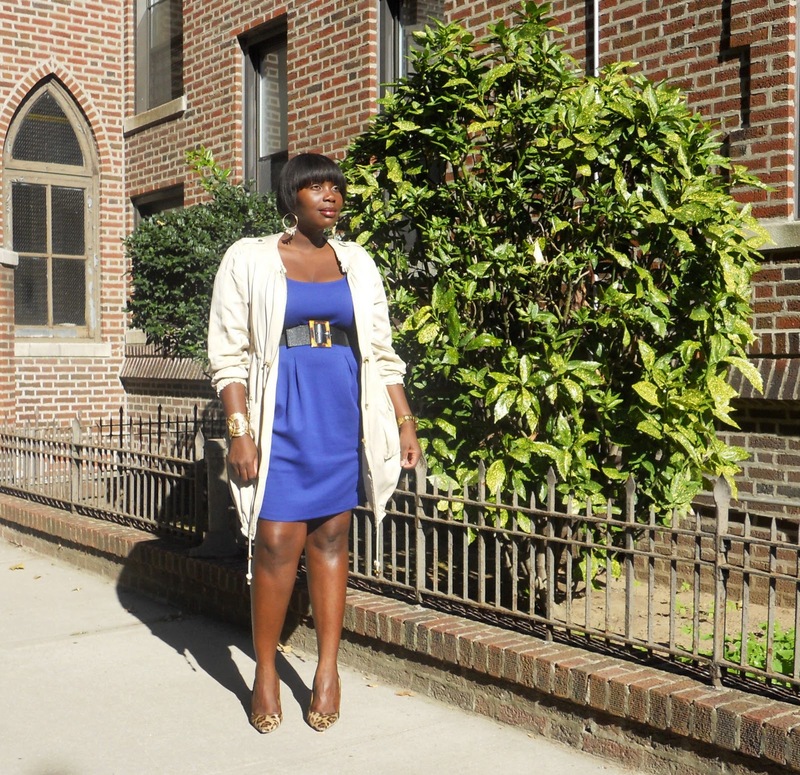 This Fall season, I plan to wear more military jackets with my dresses and skirts to individualize my looks. I know I may get some looks that read, “what is she wearing?” but, that’s just me and my personal style. I don’t have to follow anyone else’s. I got this dress from Faith 21 on a rainy day when I was bored. I bought it so I could layer other things over it. Yes, it’s basic, but, the color is awesome. 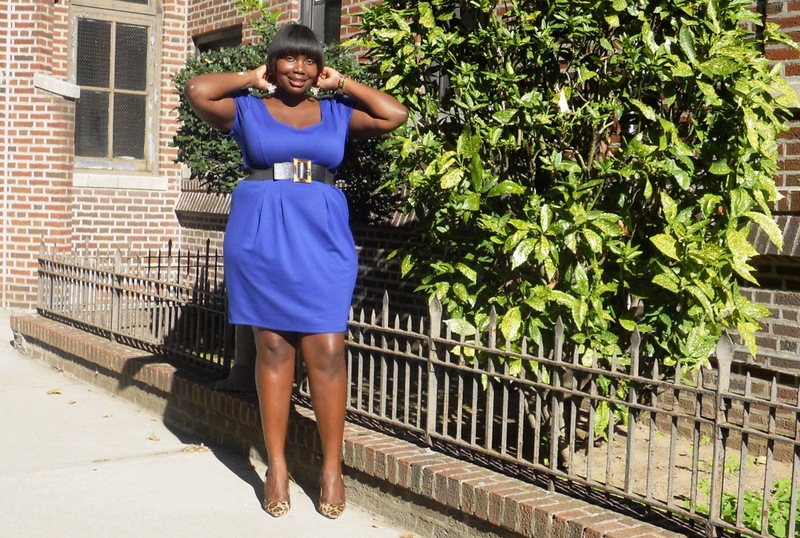 I love me some cobalt blue and I also was drawn to the the criss cross detail on the back.